Try the real american burger ! 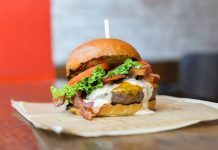 What about heading to Hoboken to try a real burger ? Located near the Hoboken Path Station and the Hudson River, Bareburger Hoboken offers you a wide selection of burgers. 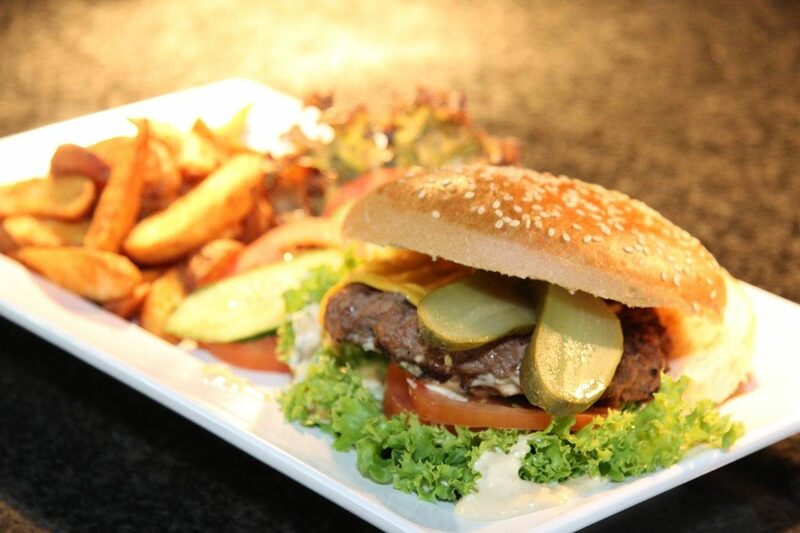 You can also compose your own burger : choose your toppings, from onions to blue cheese, from potatoes to duck meat. Note that all the products are organic and there are no added colors, artificial flavors or synthetic substances. 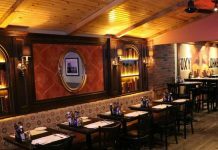 Located in the heart of the Greenwich Village, the Corner Bistro succeeded with just one recipe : the word of mouth ! Of course, all the burgers and french fries are hand-made (ask for our favorite : the Bistro Burger with crispy bacon !). The Corner Bistro it’s also a charming bohemian athmosphere where locals and tourists mix and talk. A slice of the Greenwich Village! Enjoy the best cheesecake in New York! Opened since 1888 on Houston Street, Katz's is the oldest delicatessen in New York ! Enjoy their famous sandwich with smoked meat and pickles. Try also to recognize all the celebrities who have visited Katz's, included Bill Clinton himself! Opened since 1916, Nathan's is famous for the hotdogs. You will find also hamburgers and sandwiches. 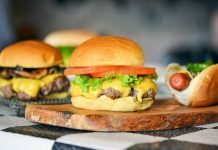 Since its opening in 2004 in Chelsea, New York Burger Co has transformed the way New Yorkers view fast-food, introducing them to healthier and tastier meals than those offered by the chains. No wonder New Yorkers voted New York Burger Co "Best Burger" in AOL CityGuide's "City's Best" poll. Established in 1989, this restaurant is still a family operation. It can be described as a 50's eatery with counter service, checkered table cloths and vintage decorations. 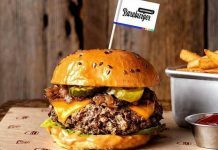 You will enjoy a wide variety of burgers, from the cheeseburger to alpine burger with pizza burger, a burger with mozzarella and pizza sauce. Note that they served a special menu for kids. Welcome to Shake Shack, a "roadside" food stand in Madison Square Park, serving burgers, hot dogs, frozen custard, beer, wine and more. As part of the ongoing renaissance of the historic park, Danny Meyer's Union Square Hospitality Group partnered with the Madison Square Park Conservancy to launch Shake Shack in Summer 2004. Designed by architecture firm SITE Environmental Design, Shake Shack blends harmoniously with the park and its surroundings.